When most people hear Vespa, they think about Italy. Not in Saigon! Vespa Adventures can take you out on tour to the lush Mekong Delta, or if you’d rather stay in the city, they offer thrilling tours of Saigon by Night, or cooking school combo tours. 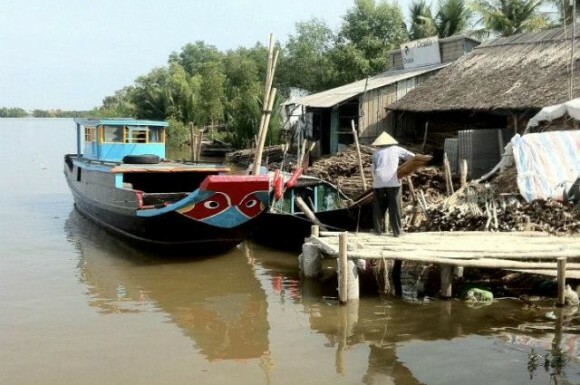 Go where no other tours will take you on this Mekong Delta day tour. 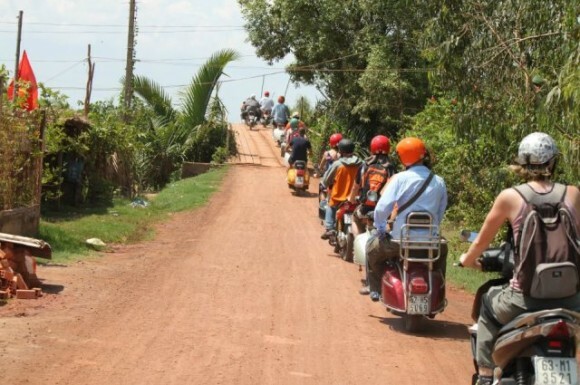 Go beyond the concrete jungle of Saigon and onto the back roads and red dirt trailsof the countryside. You will cross dozens of bridges over many river tributaries, ride on a river ferryboat, and cruise through a vibrant bustling riverside market. Zoom through the bright green rice paddies while stopping to tour local cottage industries such as incense making & rice wine production, and sample some Vietnamese specialty food and drinks. Feel a world away from the city on this off-road ride. This tour requires an adventurous spirit and a strong backside. 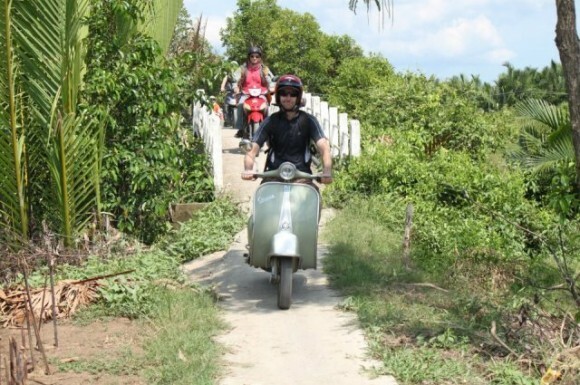 Experienced and skilled riders can drive their own Vespa on this Mekong Delta day tour, or you sit back & relax on the back of a restored vintage Vespa while we take you through the beautiful scenery. The tour comes to an end with lunch at a restaurant where you can cast a line and catch a fish while you enjoy a cold beer in the shade.